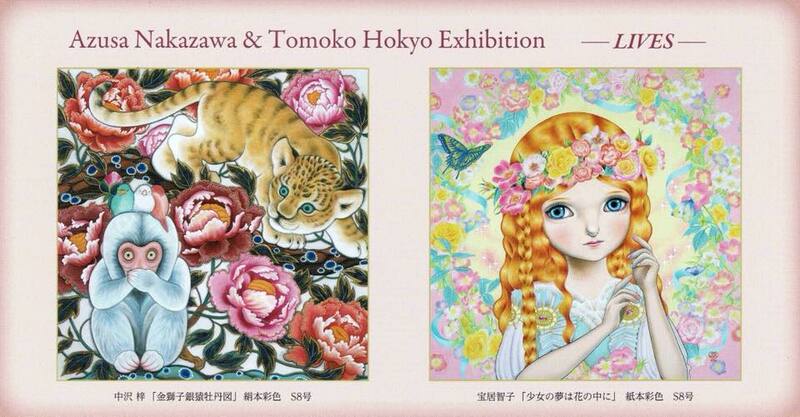 Solo exhibition to be held. Gallery Talk: starts at 2:00 pm on the 18th of May (Sat). 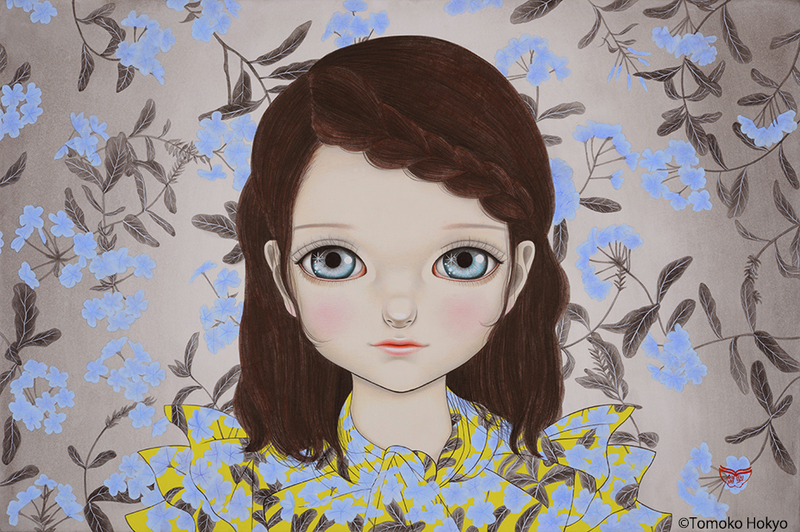 Artist Staying Date: I’ll be at the gallery every day during the exhibition (from 11:00 am to 6:00 pm). 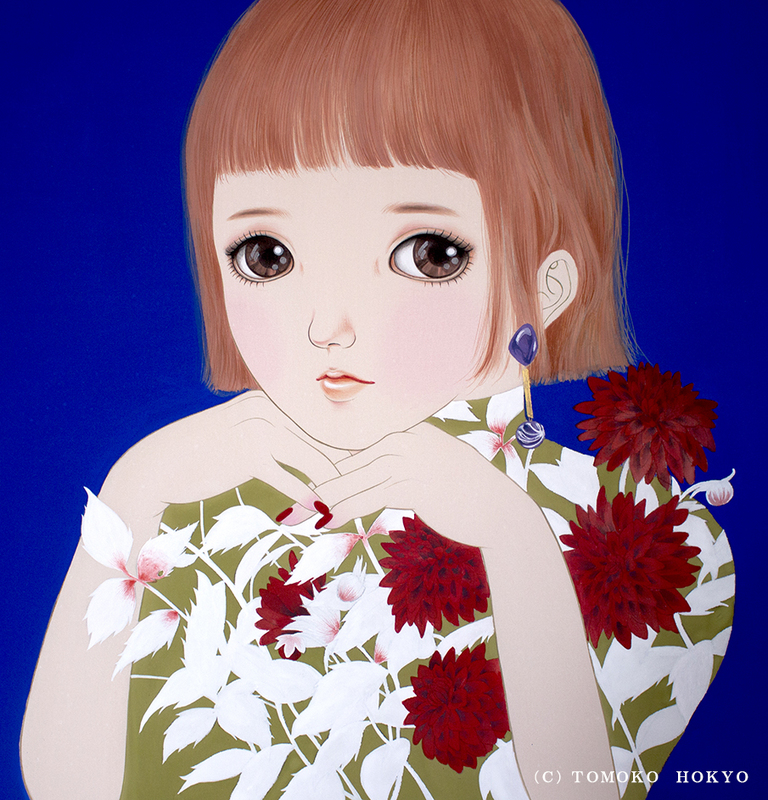 I am looking forward to seeing you at the gallery. In recent years, more and more news about inhuman child abuse is reaching me. I feel deeply grieved over the present situation where some child abuse cases will come out only after losing such children’s lives, and over the fact that many children are bearing harsh abuses even just now. Furthermore, under the circumstances where more foreign workers are employed, educational environments for the children of foreign residents have not been improved. I feel bitterly disappointed with such usual situations where the problems of child education are left unattended to. Turning our attention to overseas circumstances finds immigration issues and poverty issues becoming more pressing to make educational environments for children change drastically. Although civilization has developed to make living comfortable, a human being’s mind has become too much occupied with his/her own affairs and both adults and children are suffering stress in this contemporary society, making how we should build the future a big challenge. 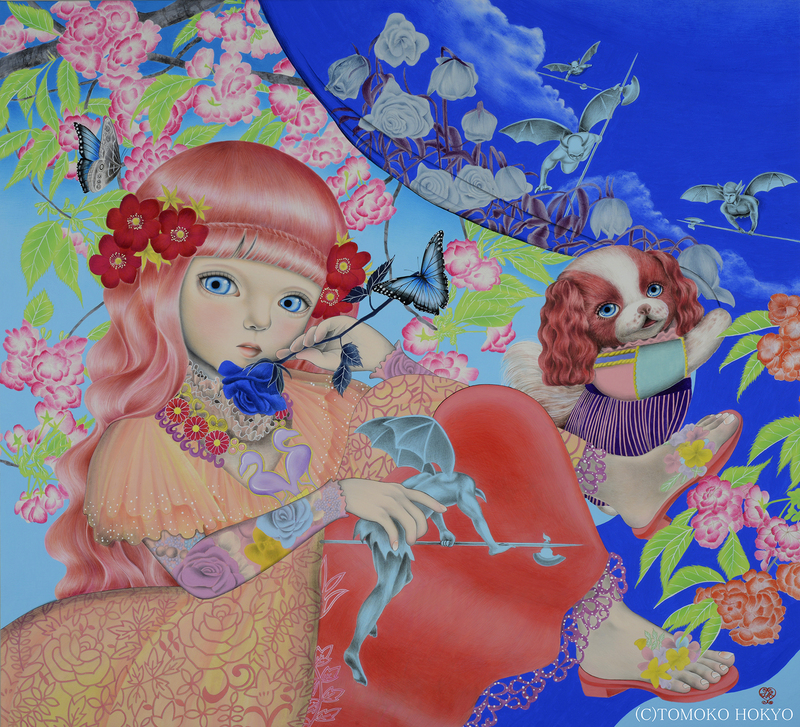 I execute works on the themes of “love and children (the future).” Children in my works think of nature and the universe as well as “What the human beings are?” These days people are easily swayed by the thought of immediate profit in their busy daily life. I am happy if my works become a moment for someone to gaze into the far future. What kind of scenery will the big Sparkling eyes gazing into the future reflect from now on? Only we adults can protect such beautiful eyes. I earnestly wish to stay close to the hearts of those who watch my works filled with tender love and to enrich their hearts. I will be executing my works hoping the whole world filled with some love and peace. 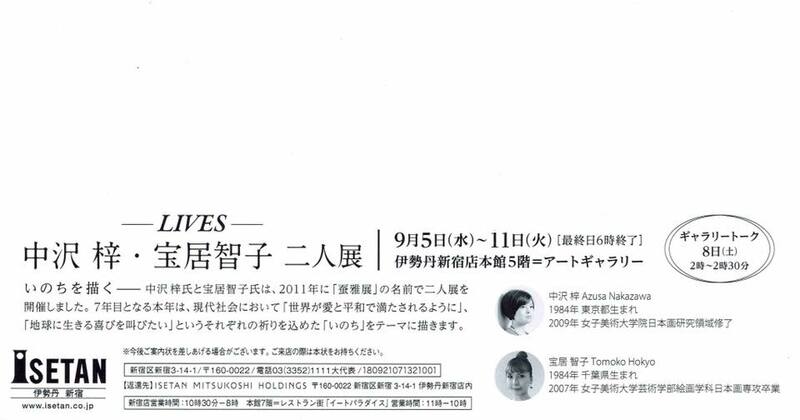 My work, its usage and a creation video were put on the website for Orenz 0.2mm (a mechanical pencil) of Pentel, a Japanese stationery company. This mechanical pencil is usable without an anxiety of a lead brokerage despite an extra-fine lead of 0.2mm. I always use this mechanical pencil in transcribing my designs. The composition of a work may change if the position becomes misaligned, even by 1mm, during transcribing it. Therefore, I have been looking for a no-break mechanical pencil. I’ll continue to use this regularly. I sincerely appreciate your kind supports last year, and hope you will provide the same for this year. I wish your success and happiness of this year. 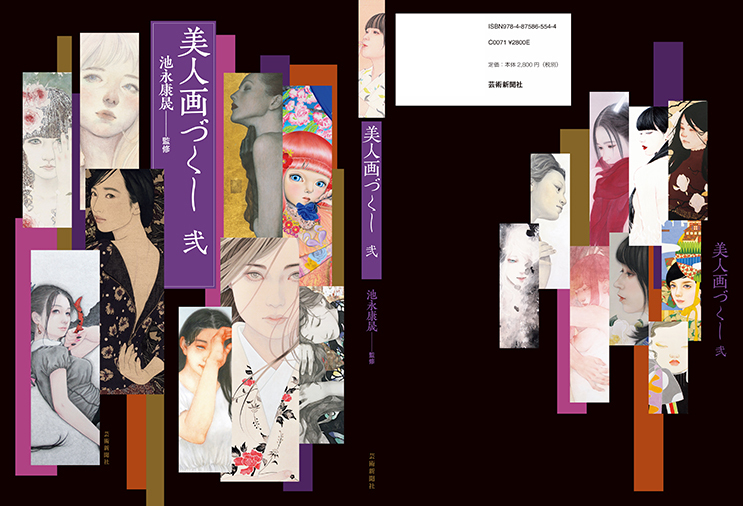 It is pleased to inform that my artworks will be published as “Bijinga Dzukushi vol.2” issued by Mr. Yasunari Ikenaga. It will be sold from 11th of January, 2019. ◆Radio program name / ENTERTAINMENT NEXT! the scene of my work and the place where I’d like to visit if I have spare one hour will be broadcasted. * The broadcasting date and time may be changed due to unexpected reasons. 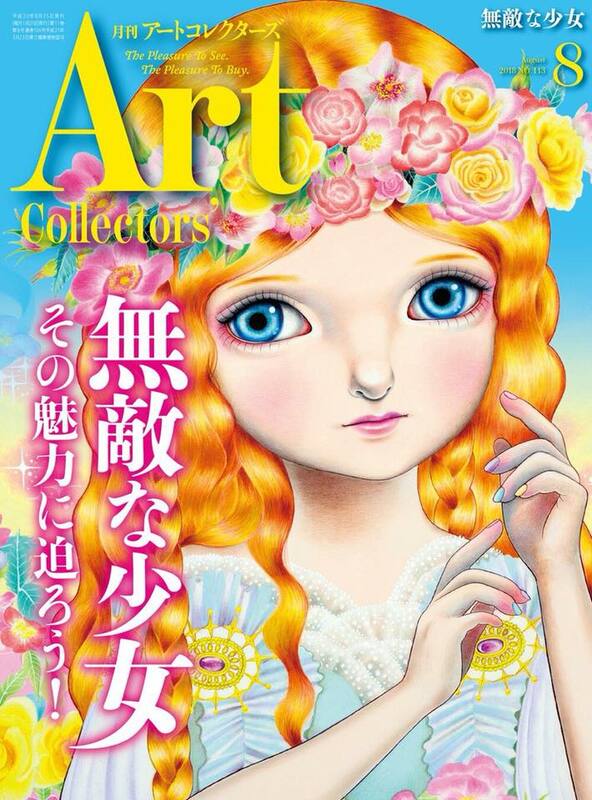 My art work was selected as a cover of the »Art Collectors (August issue)» released today (July 25). 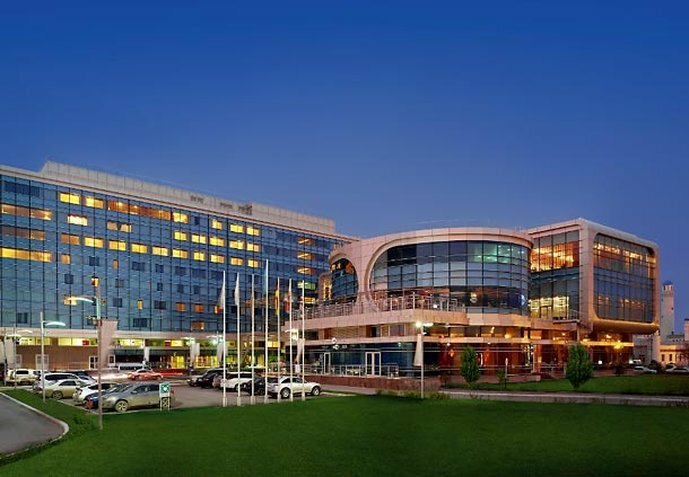 ★I will be at gallery on 24th of Feb.
Декабрь 07, 2016Solo Exhibition held at Renaissance Atyrau Hotel was completed. 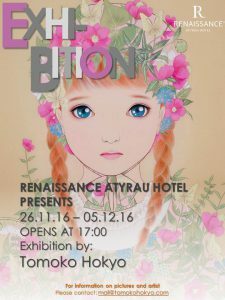 Tomoko Hokyo Solo Exhibition –Destination of Pain/Sadness Breeding- held at Renaissance Atyrau Hotel was completed. 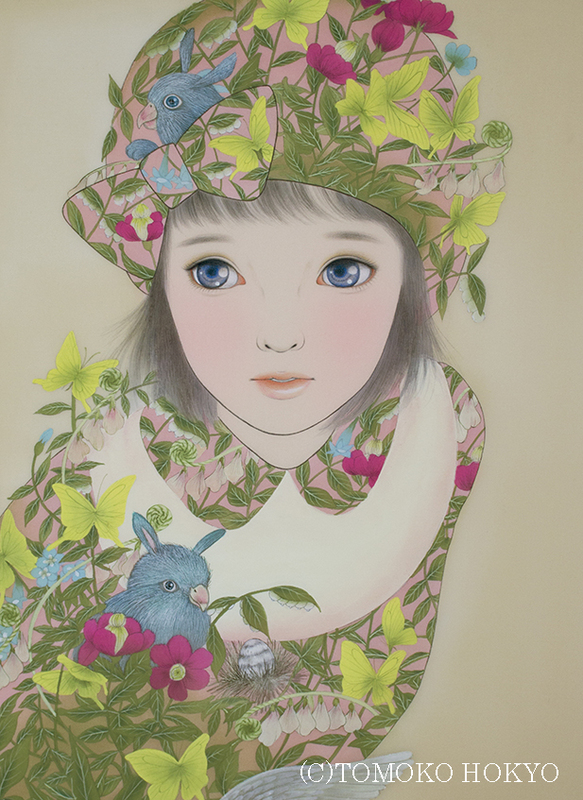 I really appreciated that a lot of people visited my solo exhibition although the outside temperature was really cold. 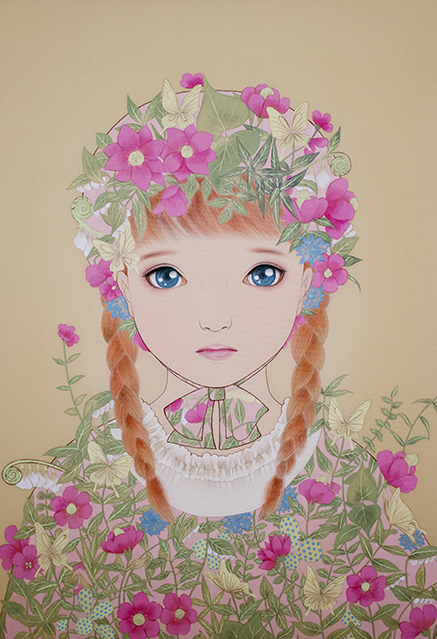 In this exhibition, I announced my works with new theme which is related to my childhood. I was really glad that a lot of people in Kazakhstan accepts my works with new theme. After my graduation from university, I worked as an illustrator between 2007 to 2010. 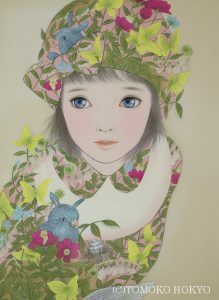 Origin of my new works is the works when I was an illustrator, and I challenged that I could mixture Japanese art and Illustration. 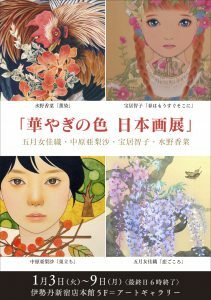 I thought that everyone would like to see Japanese traditional style, and apologized that I couldn’t exhibit Japanese traditional style this time, however everyone said to me that “Japan means Animation!”, and felt really glad. 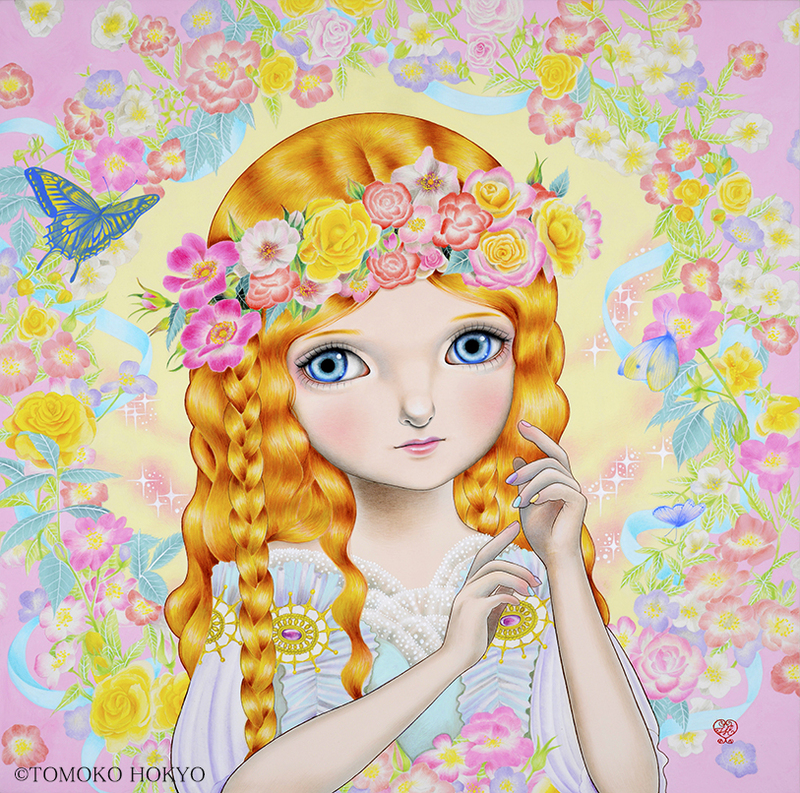 Utilizing precious experience this time, I’ll continue to prepare new works in the future. 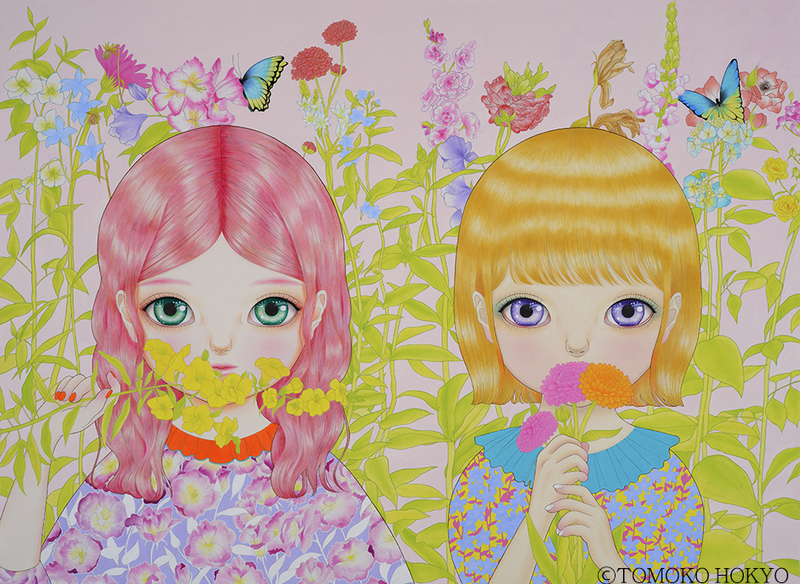 Once again, thank you very much for visiting my solo exhibition! 14 pictures which are newly prepared will be exhibited, including 4 ceiling paintings of “Maiko” which will be dedicated to “Syoujuin” in Kyoto, 2017. It is highly appreciated if you will visit my exhibition, and I’m pleased to share my change of feelings with you. I express my pain and sadness which I felt during my childhood, considering current difficult situation of modern society at the same time. While desire and hate of human being is increasing, I would like to complain pain and sadness incurred by them through my pictures on behalf of children, animals and plants who cannot speak to them directly. I prepare my works to wish the world would be filled with full of love and peace. 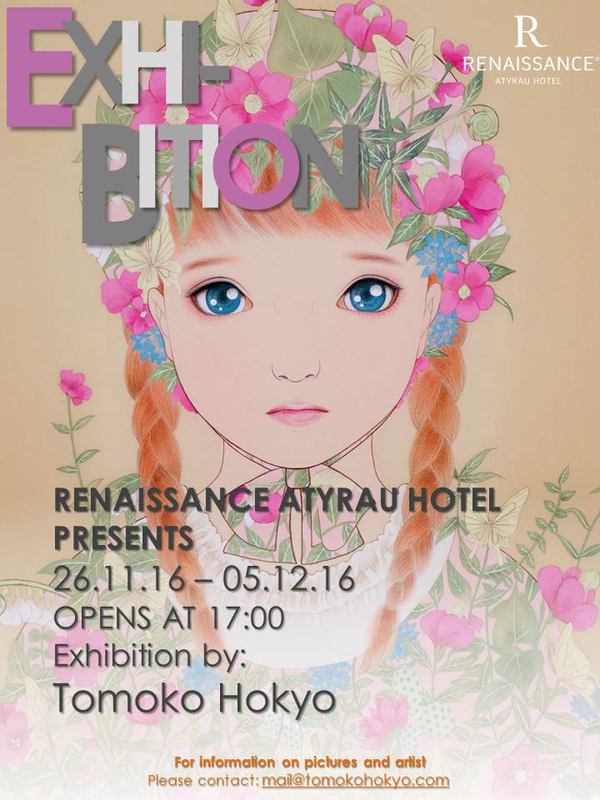 I’m pleased to inform that I’ll hold 2nd solo exhibition in the republic of Kazakhstan. 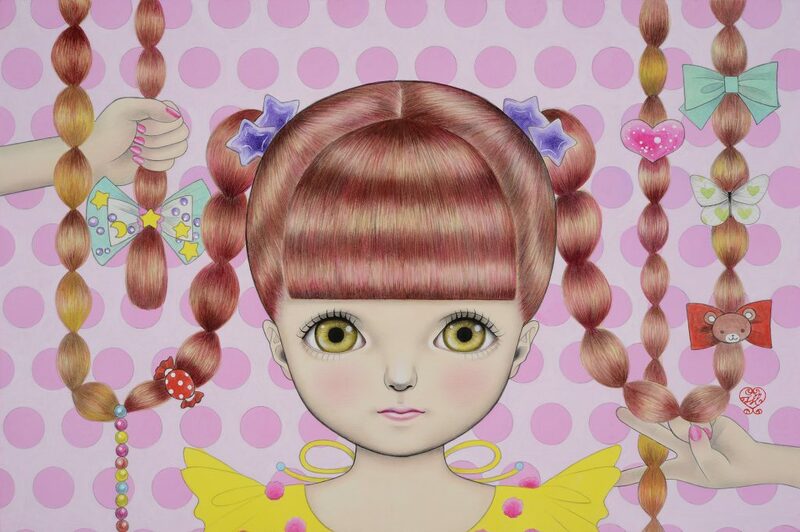 Before holding this solo exhibition, I decided that I would change idiom of my work. 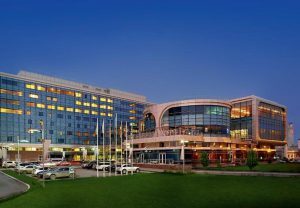 One of the reasons of my decision is come from my life experience in Kazakhstan. 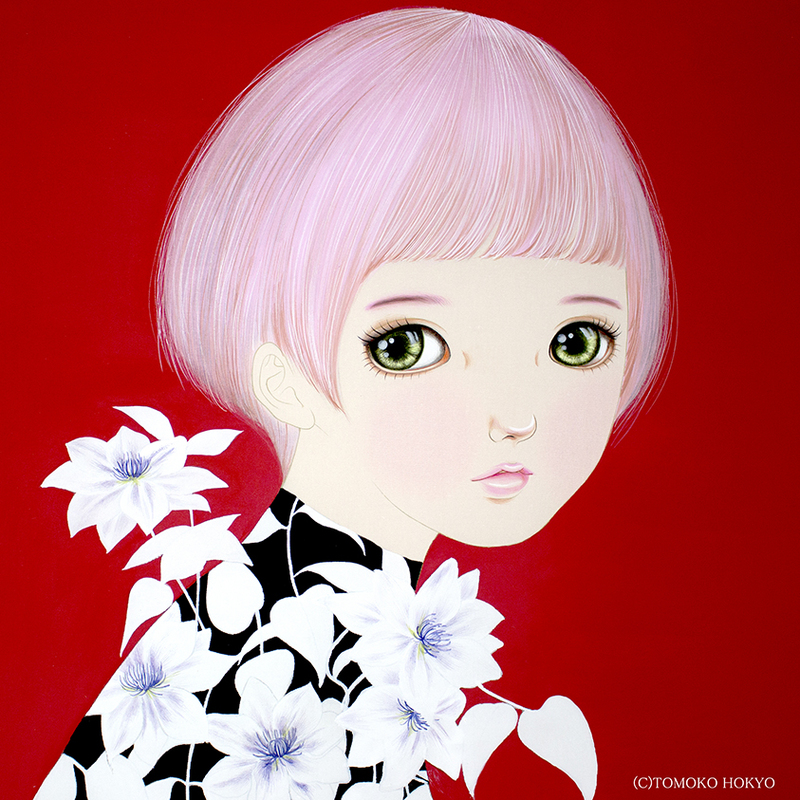 Previously, I’ve expressed beauty and tradition of Japan through my works. 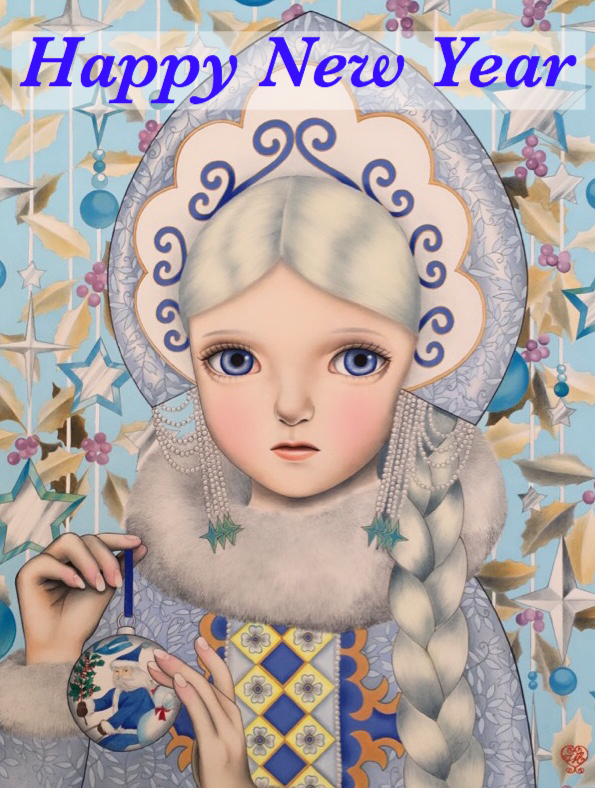 However, during my stay in Kazakhstan, I felt some sense of discomfort toward my works, and found that this feeling is come from my wish that I would like to be a painter who can express the things, not being bound by race or country of individuals, nor “Japanese” style. After finding this feeling, I decided that I focus on “my origin of drawing pictures” considering the first moment when I started to paint in my childhood. Since my memory during my childhood is not the one which was very happy, and it brought me pain and sadness, I had sealed this feeling for a long time. However, I screwed up my courage and came face to face toward this feeling, and it brings me a new motivation to draw pictures.